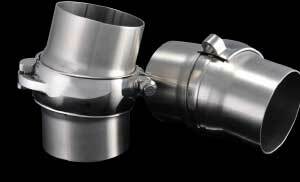 Berea, Ohio (February 13, 2014) Ultimate Headers created a stir at the recent Performance Racing Industry Show by introducing its new cast Stainless Steel Low-Profile Exhaust Clamps for 2-1/2- and 3-in. diameter exhaust pipes. 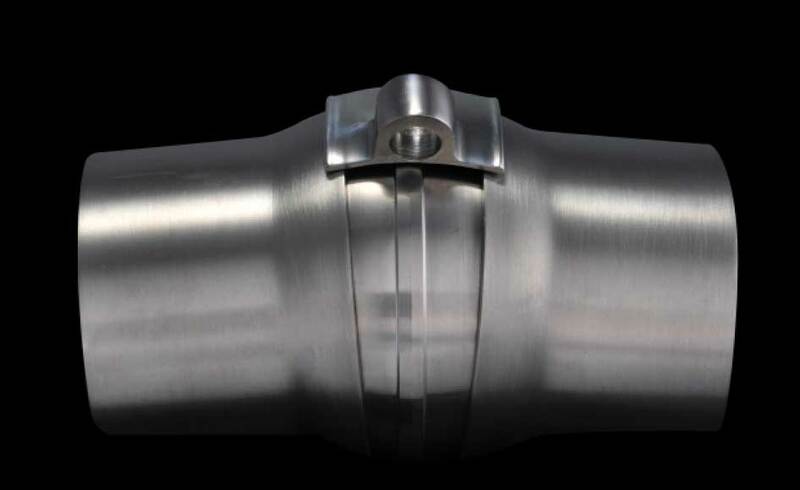 Engineered to help engine or chassis builders, racers and street performance enthusiasts gain ground clearance when joining headers to the exhaust pipes, the new Low-Profile clamps design allows for up to 13 degrees of deflection, making installation easier. 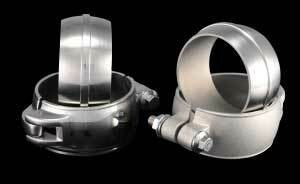 The clamps increase ground clearance by up to 50 percent over the traditional 3-bolt pattern connectors. The connectors are particularly useful for applications with frequent engine changes. Cast from aerospace quality 316L Stainless Steel alloy, the clamps are lightweight, heat-resistant, extremely strong and are easy to install or remove. Each clamp features a robust detachable, claw-style hinge with an ARP 5/16-in. hex-head bolt, washer and nut, and a slip-in back-up mandrel to assure a leak-free, air-tight junction. 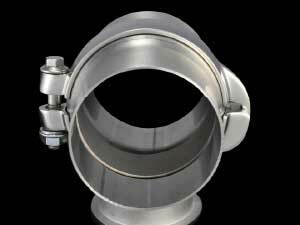 Each clamp includes two radiused flair tubing stubs of grade 304 Stainless Steel for easier installation. For more information on this product or other Ultimate Headers products, call 440.234.9600, email info@ultimateheaders.com or visit our website at www.ultimateheaders.com.